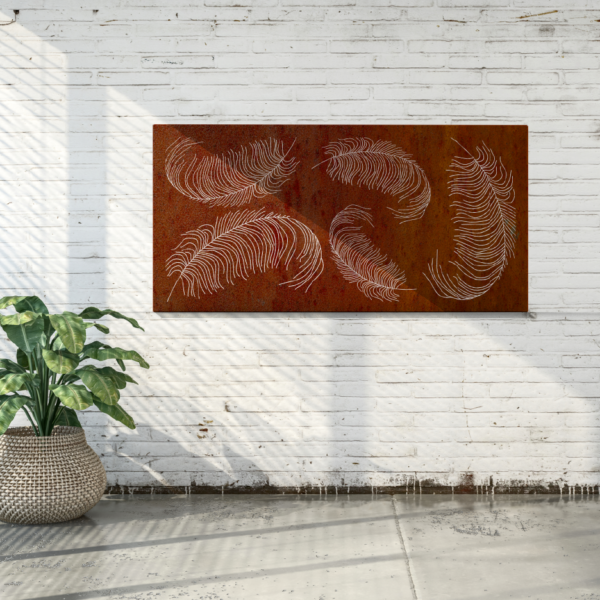 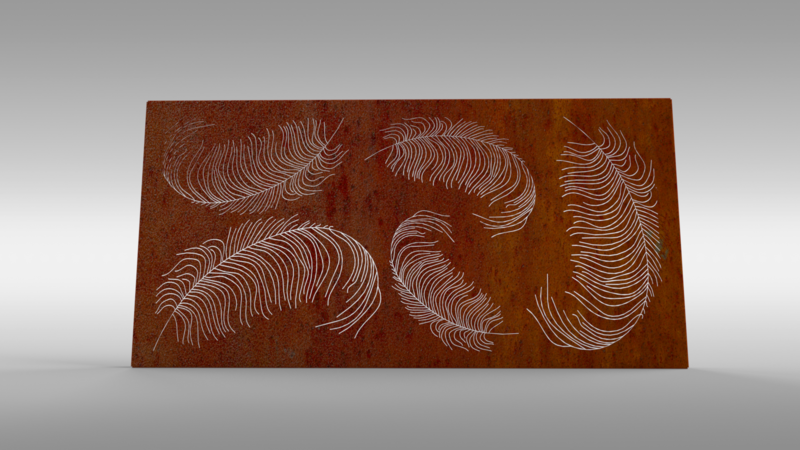 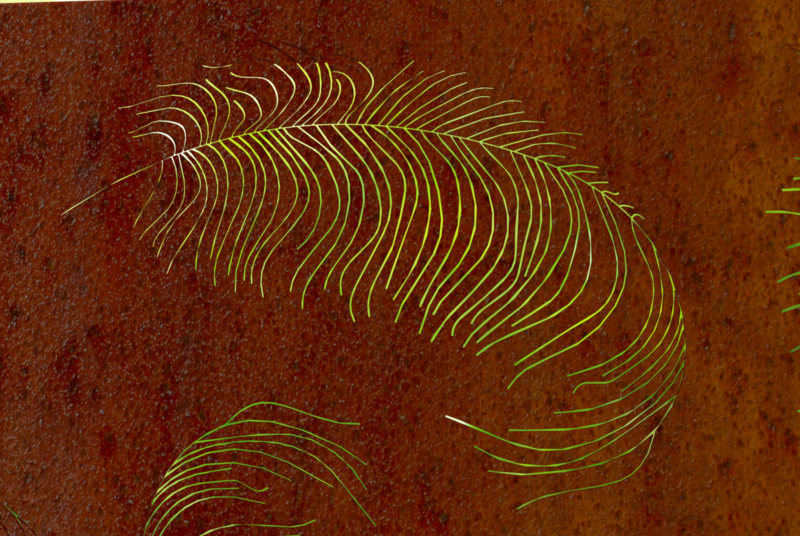 The feather wall art screen brings together the delicacy of a feather with industrial manufacturing techniques and materials. 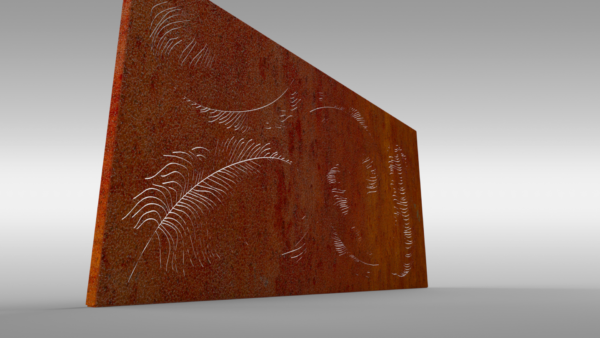 This screen is available in a standard size of 1.8m x 0.9m. 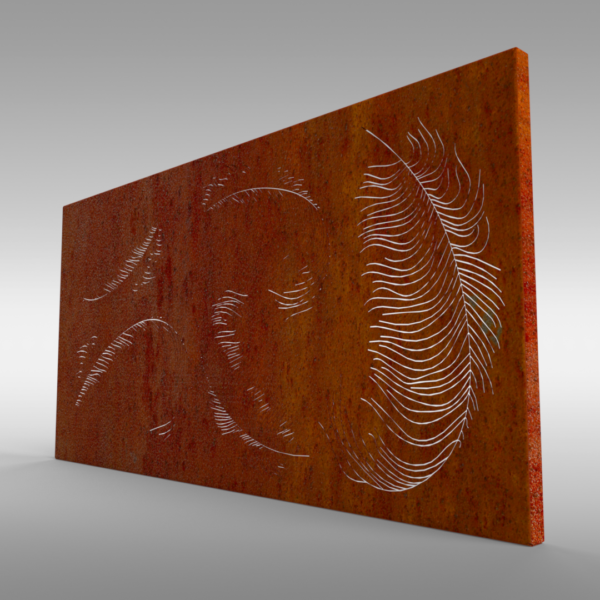 This screen can be attached to the wall through a keyhole screw slot to suit M6 fixings in each corner of the panel, wall fixings not included. After different dimensions, a different finish or a personalised version of the feather screen? Get in touch!